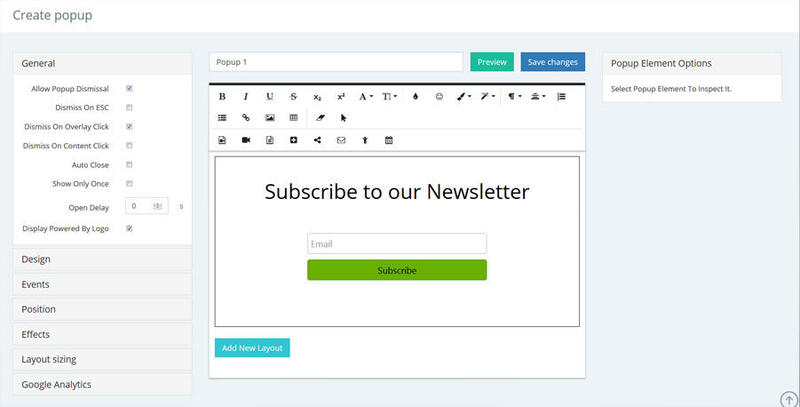 Once you&apos;re in your Popup Maker Dashboard you can start creating your first popup. You can see all your popups here (that you have already created). 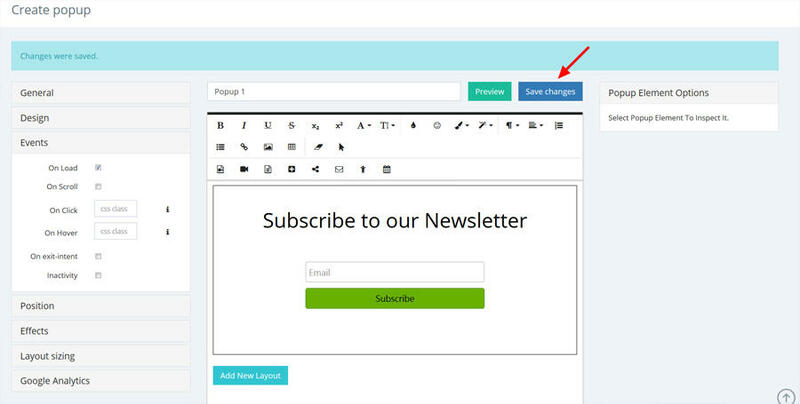 Click "Create From Scratch" to start your popup creation. After you click "Create From Scratch", you&apos;ll get to the editor page of your popup where you can see all the options and tools to start the popup building. 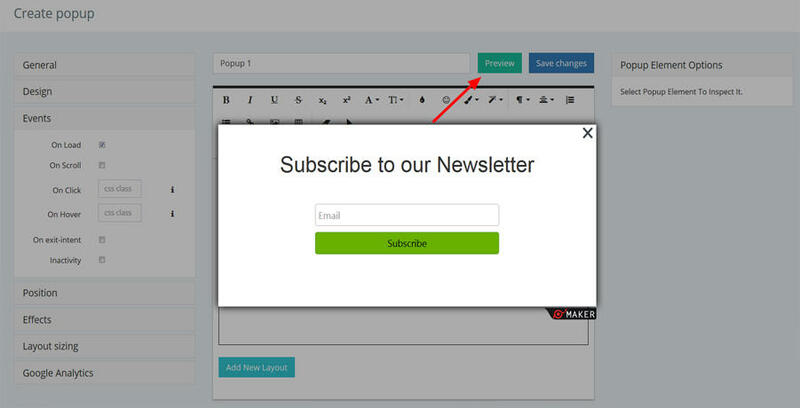 Add any content you wish in your popup, like text, images, buttons, forms, etc. On Hover, On exit-intent, Inactivity, or all the events altogether! You can preview your changes before saving the popup, simply clicking "Live Preview" button. After you&apos;ve done all the changes and applied the options you wish for your popup, it&apos;s the very time to save the changes. Click "Save changes" and you&apos;re done!